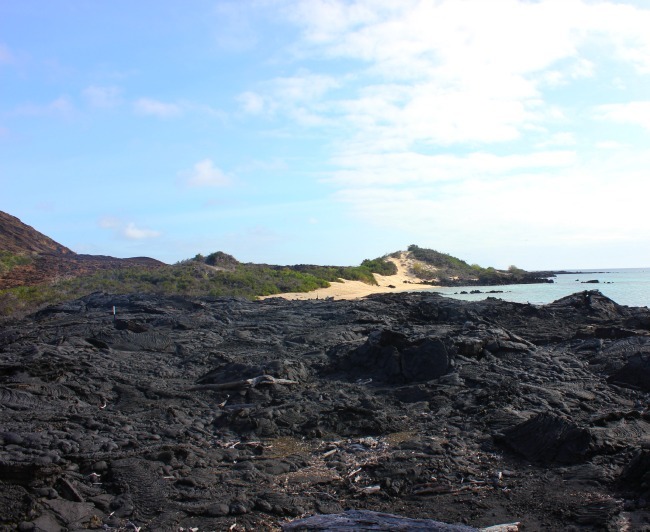 On this wee isle near Baltra Island, our hike began at the water’s edge – but soon we were surrounded by lava rock. 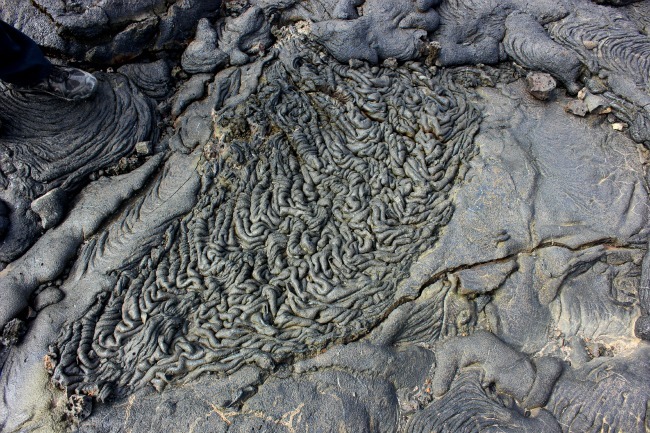 In every direction all you could see was the smooth waves of lava rock. 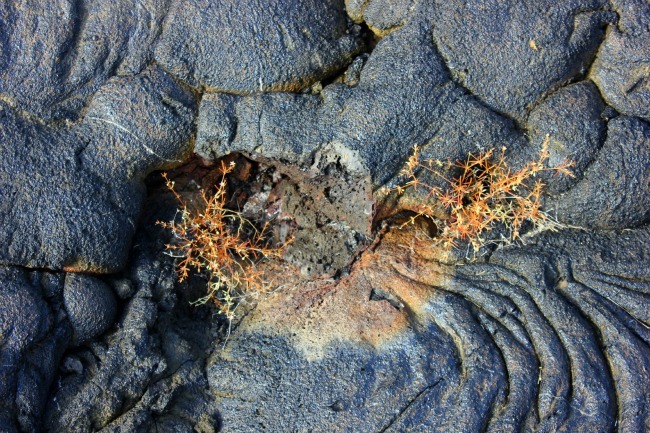 Since the island sloped down to the sea in a gentle gradient, it was easy to picture the lava coming out of a fissure, slowly coating the land with a new skin. 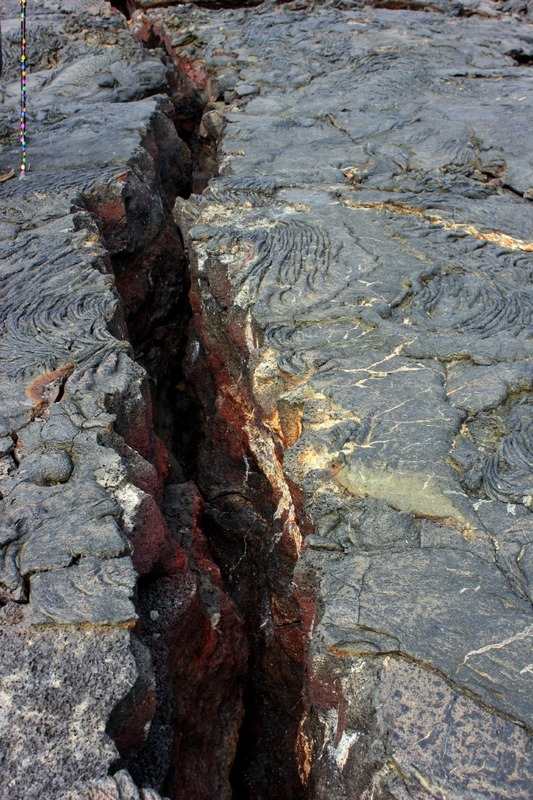 The rock was smooth and it was easy to spot how the lava had stopped flowing, and slowly cooled into the shape that was now visible below the feet. As we hiked along the landscape, it was filled with nooks and crevices, long shelf areas and holes. From afar it looked like an endless black field, yet up close it was even more interesting thanks to the whims of the lava. The patterns and shapes were fascinating to me – like pieces of art – and told the story of how this island had come to be in recent decades and how it may grow bigger in the future, thanks to the activity found below the surface. In the Galapagos Islands, some islands will appear, get bigger and some will disappear – all part of the planet’s creativity.